Click an image for a better look. Full-size images are available for sale. Purchased images may be used in textbooks, magazines, and advertising. No image may be used for any purpose without a written release and permission form from Dr. James Castner, the copyright holder. 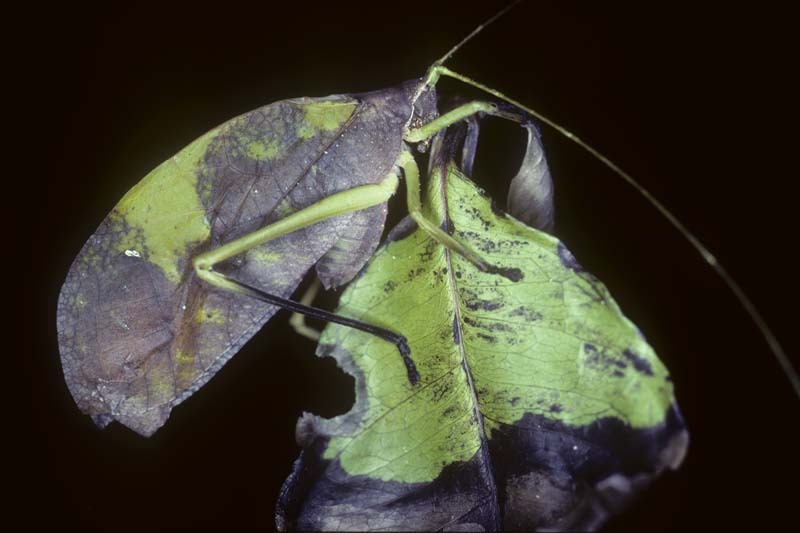 A large leaf-mimicking katydid (Tettigoniidae) from the Amazon Basin of Peru shows the coloration of a diseased or damaged leaf. 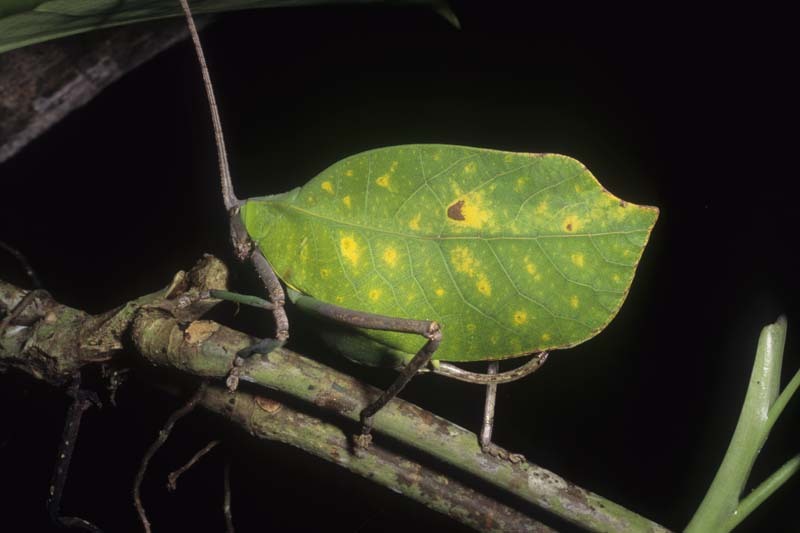 The brown phase of the female Bolivar's katydid (Tettigoniidae), a leaf mimic from the Amazon rainforest of Peru. 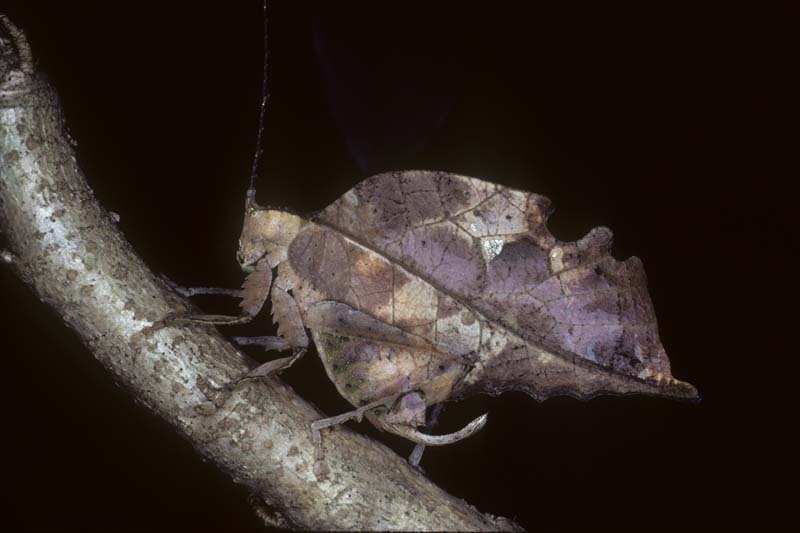 The brown form of the male of Bolivar's katydid (Tettigoniidae), a leaf mimic from the rainforests of the Peruvian Amazon. 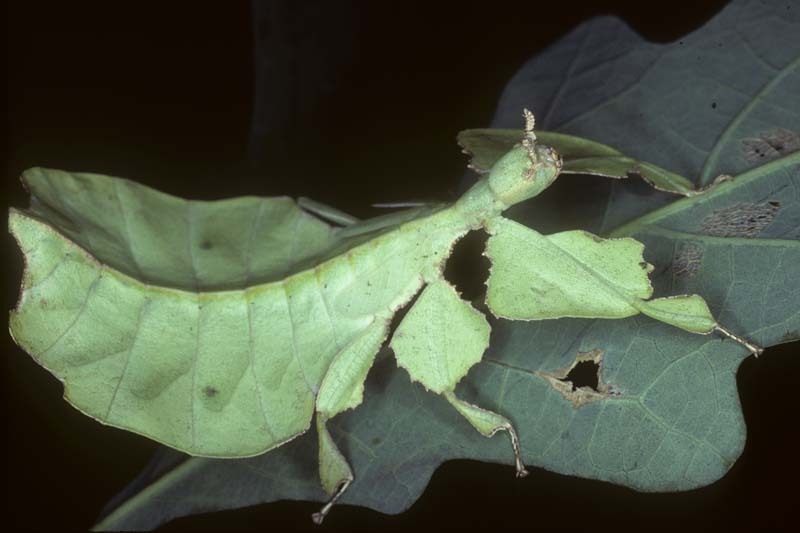 A green leaf-mimicking mantis (Choeradodis sp.) 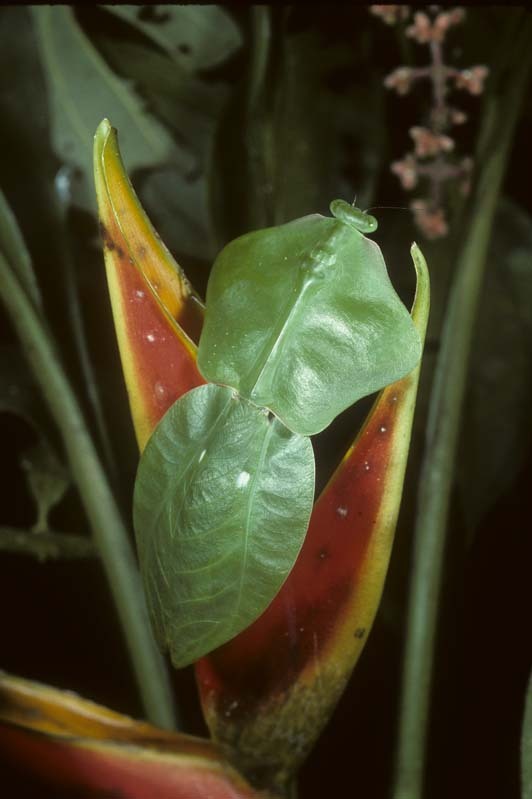 from the tropical forests of the Peruvian Amazon. 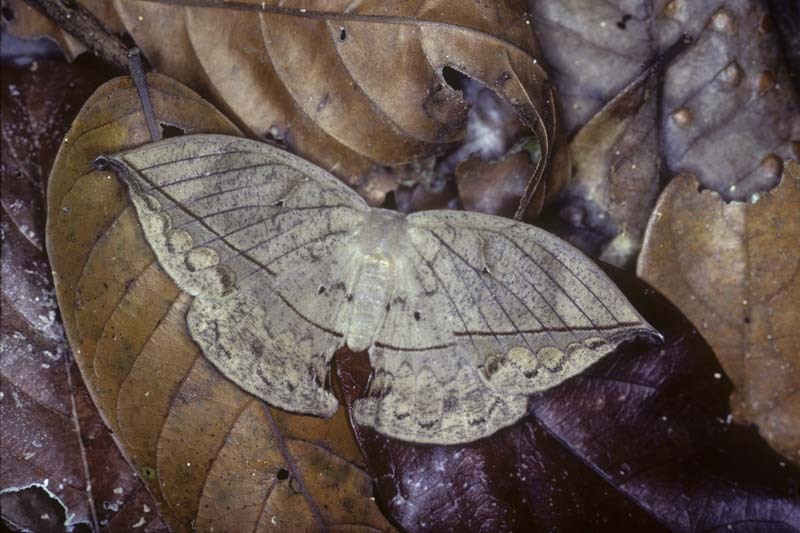 A leaf-mimicking moth in the leaf litter of an Amazon rainforest in Peru. A superb leaf-mimicking katydid (Tettigoniidae) from the Amazon rainforests of Peru with markings that imitate decay spots. 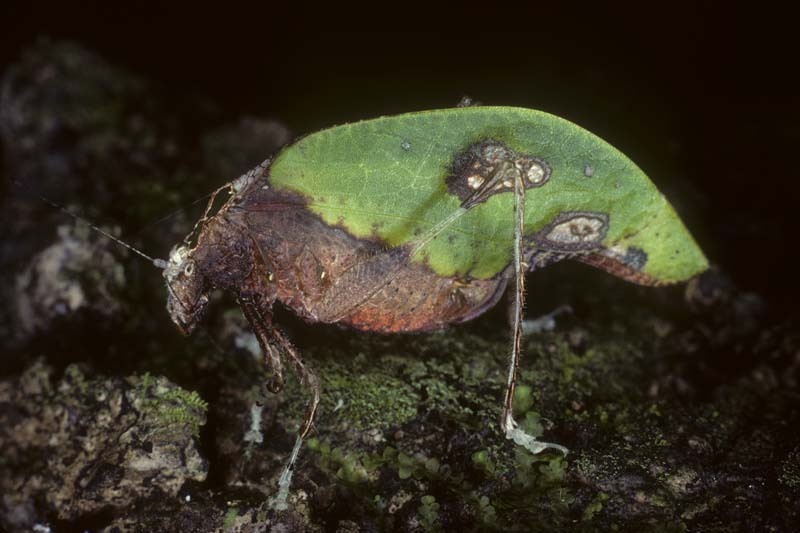 A Peruvian leaf-mimicking katydid (Tettigoniidae) whose wings, like the leaves of many tropical forest trees, end in an apparent "drip-tip." 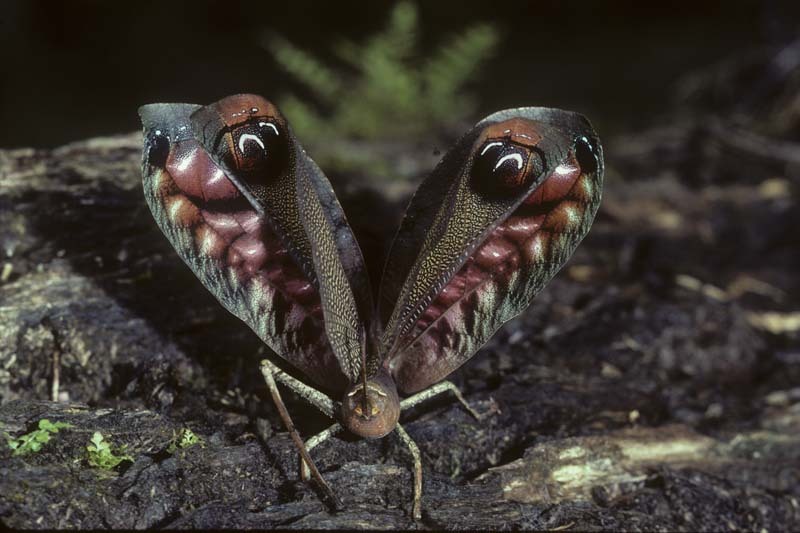 The spectacular startle and eyespot display used as a secondary defense by the leaf-mimicking peacock katydid (Tettigoniidae) found in the Amazon rainforests of Peru. The Java Walking Leaf from Indonesia, one of the most spectacular of all leaf-mimicking insects.